Heat oven to 375°F. In large bowl, mix eggs, 1 cup of the sugar, the butter and shortening. Stir in Bisquick mix until dough forms. In small bowl, mix remaining 1/4 cup sugar and the cinnamon. Shape dough into 1 1/4-inch balls. (If dough feels too soft for shaping into balls, put dough in freezer for 10 to 15 minutes.) Roll balls in sugar-cinnamon mixture; place 2 inches apart on ungreased cookie sheets. Bake 10 to 12 minutes or until set. Immediately remove from cookie sheets to cooling racks. 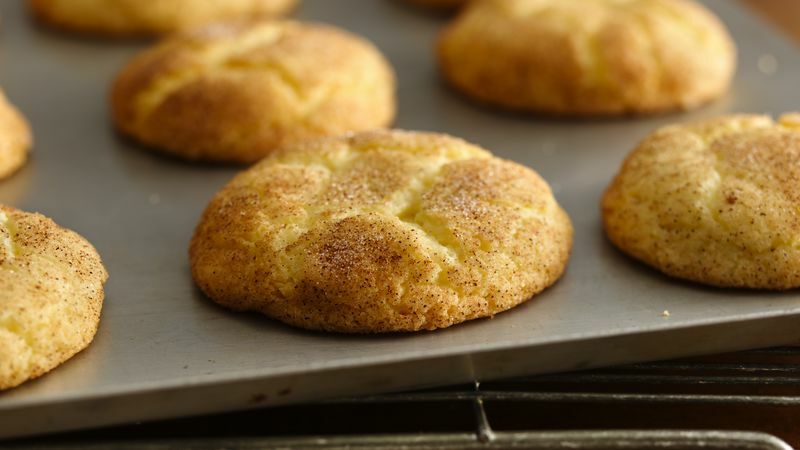 These rich cinnamon-sugar cookies make a great gift! Place a bag of them in a small basket along with packets of cappuccino or hot chocolate mix.